Preview dial is a dial method that allows your agents to view the lead and read over the lead information before the call is placed. There are several options in Preview Dialing that can be used like an automatic timer that places the call or the ability to skip leads. 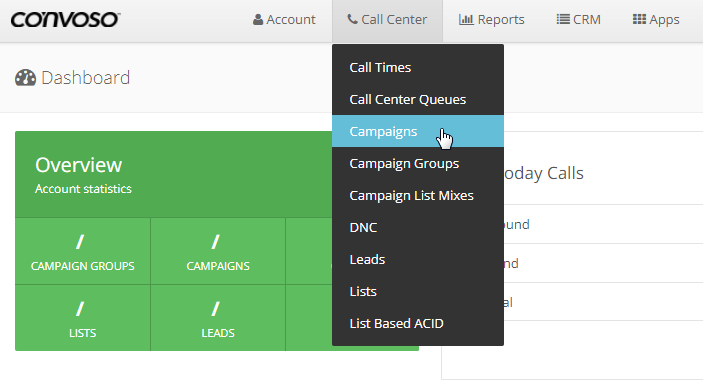 Here we will show you how to configure your preview dial campaign. Under Campaign Settings. Click on the Outbound Settings tab. Dial Method – select Preview Dial or Preview & Inbound. Allow Agents to Skip Leads – enable this if you want to allow your agent to skip leads. Reinsert Skipped Leads - This will reinsert skipped leads into the bottom of the hopper if it is set to Yes. Status Skipped Leads - If enabled, skipped leads status will become Skipped Lead status. Preview Time – lead’s information will appear on the screen and will perform a certain action after the selected preview time Note: Skip Lead functionality is disabled if Preview Time is set to Dial Immediately or is set to less then 10 seconds. Time Out Action – Switch Agent to Not Ready or Dial Number. Not Ready Status – select the agents’ not ready status.